The 2017-18 edition of the Reign was made up of players that ranged from first round picks to undrafted free agents and everywhere in between, including one player taken in a round that doesn’t even exist anymore. 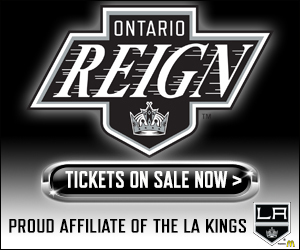 The diversity of the Ontario roster makes every Los Angeles draft pick valuable for the AHL club, with each prospect selected being a possible Reign player down the road. With the 2018 NHL Entry Draft taking place tomorrow, we look back at the different draft scenarios of some of last season’s Ontario Reign players. 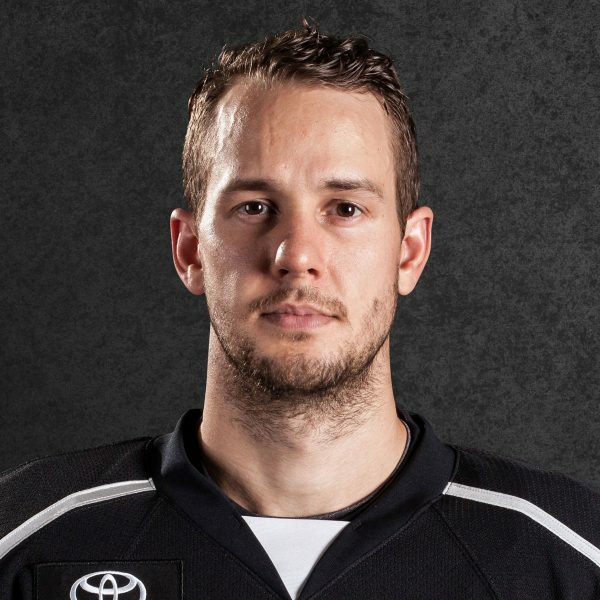 Before Jack Campbell was one part of the Ontario Reign’s goaltending tandem during the opening half of the 2017-18 season, he was a first-round draft pick of the Dallas Stars in 2010. Eight years ago, Campbell entered the draft as the second highest ranked goaltending prospect in North America by the NHL Central Scouting Bureau. Campbell was a member of the USA Hockey National Team Development Program and had perhaps his defining moment as a prospect during the 2010 World Junior Championships as he helped lead Team USA to its first gold medal since 2004. Campbell entered during the second period of the gold medal game, with the United States and Canada tied at three, and turned aside 32 of the 34 shots he faced as the Americans won 6-5 in overtime to claim the gold. 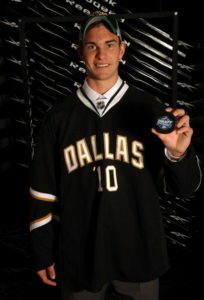 Fast forward six months to June of 2010 and Campbell became the first goaltender selected in the 2010 NHL Entry Draft as the 11th overall pick. Campbell became the highest drafted goaltender since 2006, when the Kings picked Jonathan Bernier 11th overall, and the highest drafted American goaltender since 2004, when netminder Al Montoya was selected sixth overall by the New York Rangers. 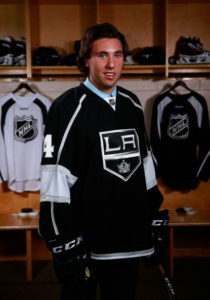 Michael Amadio was one of the Ontario Reign players that made the jump to the NHL level during the 2017-18 season, four seasons after he was selected in the third round of the 2014 NHL Entry Draft. 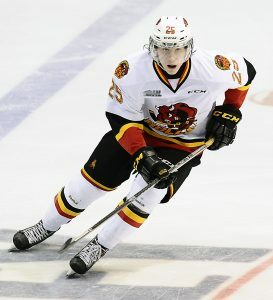 Amadio entered the draft from the OHL, where he skated during the 2013-14 season with the North Bay Battalion. Amadio amassed 38 points (12-26-38) from 64 games played during the regular season before he netted nine points (3-6-9) from 22 playoff games as the Battalion advanced to the OHL championship series, where they fell in five games to the Guleph Storm. 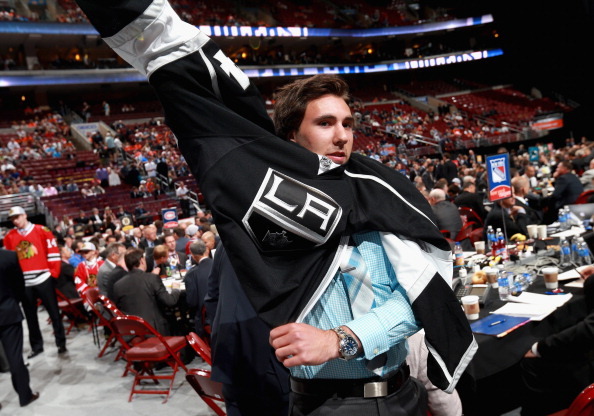 Amadio entered the draft as the 68th overall ranked North American skater and was taken 90th overall by the Kings to conclude the third round. 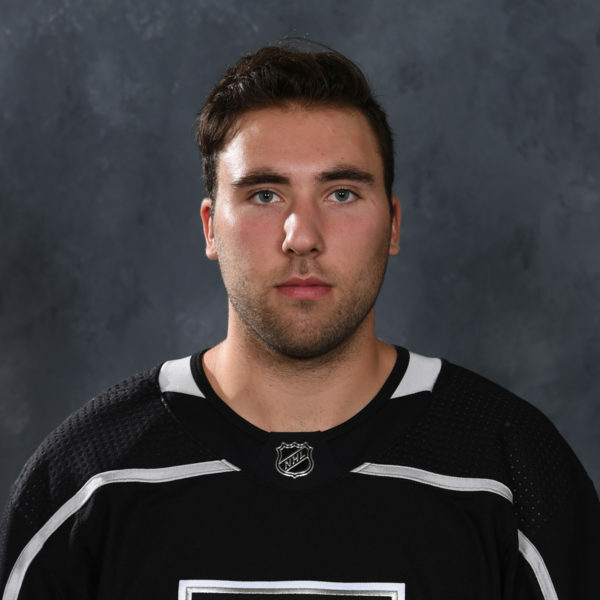 Amadio was drafted as a skilled offensive player and that talent was showcased by two seasons at over a point-per-game pace in the OHL, as well as 35 points from 32 games this past season with Ontario. Read Amadio’s LAKI Draft Introduction HERE from 2014 where he described his own game as an offensive guy that is responsible in his own end. 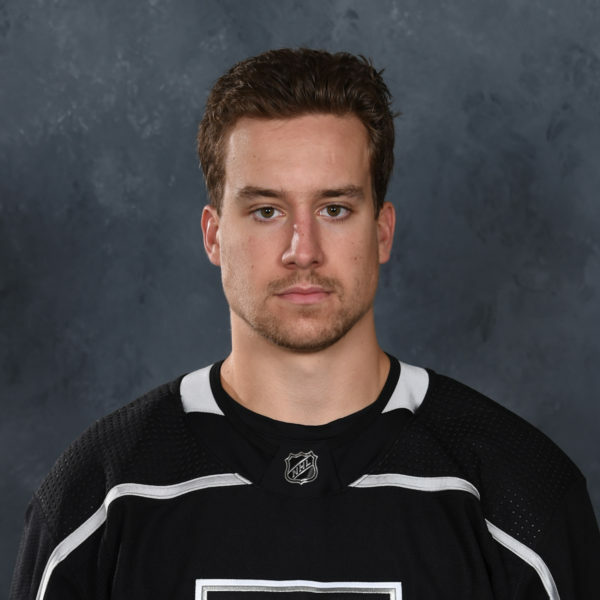 Similar to Amadio, Brodzinski was another player that split the 2017-18 season between the Ontario Reign and Los Angeles Kings, with the 2013 draft pick posting nearly a 50-50 split between the AHL and NHL. 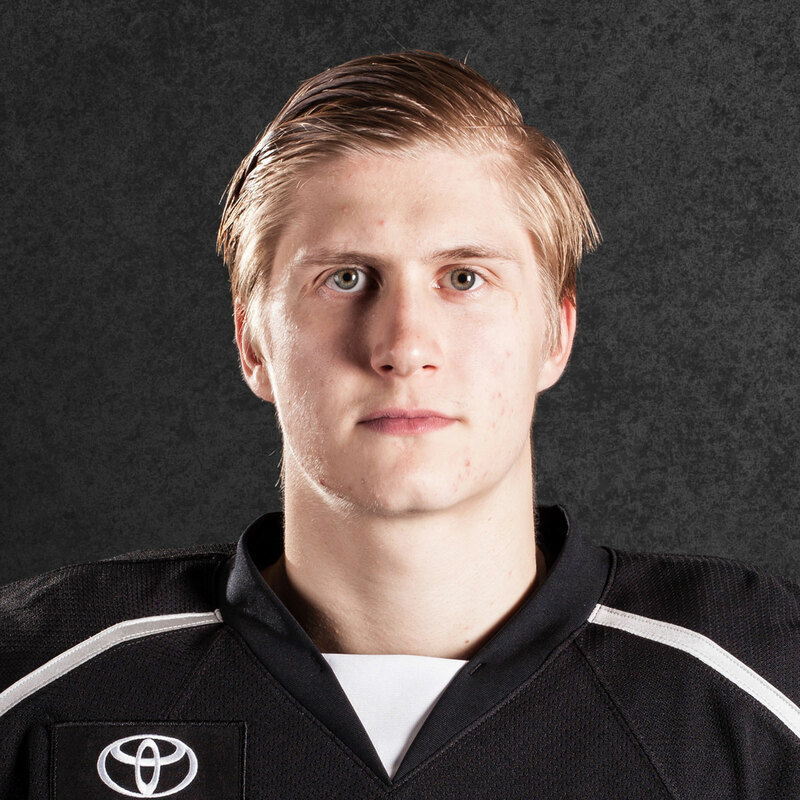 Brodzinski was relatively unheralded out of the USHL in 2012, after he posted 22 points from 50 games with the Fargo Force, but the 6-1 winger exploded onto the hockey scene during the 2012-13 season as a freshman with St. Cloud State in the WCHA. Brodzinski netted 22 goals and 33 points with the Huskies as he led the nation in goals scored by a freshman, with his 33 points ranking eighth amongst first-year collegiate players. St. Cloud State concluded its season with the first Frozen Four appearance in program history and, shortly thereafter, Brodzinski found himself in the NHL Draft picture. The Minnesota native entered as the 132nd ranked North American skater and was selected late in the fifth round, 148th overall, by the Kings. In the same fifth round, also taken was now Reign netminder Cal Petersen (129th overall – Buffalo) and Jonny’s brother Michael (141st overall – San Jose). Watson, who spent his rookie season split between Ontario and the ECHL’s Manchester Monarchs, was nearly the NHL’s equivalent of “Mr. Irrelevant” as the last player taken in the draft but he came off the board one pick prior with the penultimate pick of the seventh round. 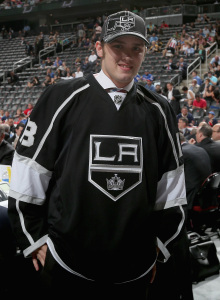 Watson was drafted 209th overall by Los Angeles as the Kings owned the last two picks in the 2014 NHL Entry Draft, used to take Watson and defenseman Jacob Middleton. The 5-10 forward entered his draft season with the Kingston Frontenacs and had his first point-per-game season during the 2013-14 campaign as he amassed 33 goals and 68 points from 65 games played. 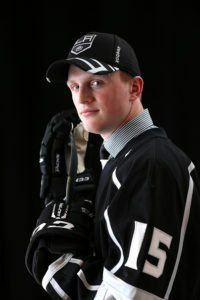 Watson was the 59th ranked overall North American skater entering the 2014 NHL Entry Draft and was projected to be a second or third round selection but slipped to Los Angeles in the seventh round. 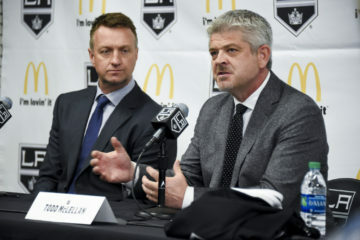 Read Watson’s original draft bio HERE, featuring comments from now LA Kings Assistant General Manager Michael Futa, on the possibility of a late-round find for the Kings. Matt Moulson, who joined the Ontario Reign midseason from the NHL’s Buffalo Sabres, ranks as one of the most successful ninth-round picks in NHL history. 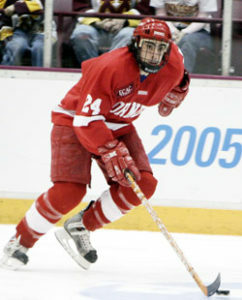 Moulson played the 2002-03 season collegiately with Cornell University in the ECAC and collected 23 points (13-10-23) from 33 games played as a freshman. Moulson was the leading freshman scorer on the Big Red and ranked seventh all around in scoring as Cornell earned the top overall seed in the NCAA Tournament, reaching the Frozen Four for the eighth time in program history. Following the postseason, Moulson entered the NHL Entry Draft as the 221st ranked North American skater and was selected 263rd overall by the Pittsburgh Penguins with the second pick of the ninth round. From the 1995 NHL Entry Draft to the 2004 NHL Entry Draft, the years in which the event was nine rounds long, only five players drafted in that span have appeared in more NHL games than Moulson, who has skated in 650 to date. Moulson’s 369 points are the second most amongst ninth-round selections in that timeframe, trailing only defenseman Mark Streit (434). *Fun 2003 Draft Fact – 3 current members of the LA Kings were taken within a five-pick span in the first round – Dion Phaneuf (9 – Calgary), Jeff Carter (11 – Philadelphia) and Dustin Brown (13 – L.A.). Austin Wagner, who was selected by Los Angeles three years prior in 2015, made his professional debut with Ontario during the 2017-18 season as he collected ten goals and 17 points in his first season as a professional. After he netted just two points from 42 games played during his first full season in the WHL, Wagner broke out during his draft-eligible season with the Regina Pats as he collected 20 goals and 39 points during the 2014-15 season, in addition to three points from nine games during the playoffs. Wagner’s year vaulted him up the draft boards as his combination of size and speed made him an appealing option to NHL teams. 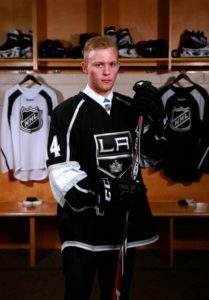 The 6-2 winger entered the 2015 NHL Entry Draft as the 35th ranked North American skater and the Kings decided to make a move when he was available early in the fourth round. Los Angeles moved up five spots from #104 to #99, sacrificing a sixth-round pick in the process, to select Wagner. Click HERE to see Wagner’s LAKI welcome from his draft season, with a noted mention on his speed. While the NHL Draft now ends after seven rounds, the path to professional hockey does not end with the final pick. For any number of reasons, several players go unselected on draft day and pave their own road to the AHL and NHL ranks. One such player is forward Matt Luff, who went unselected in the 2015 and 2016 NHL Entry Drafts despite being the 96th ranked North American skater in 2015. Luff then returned to juniors and posted a big season with the OHL’s Hamilton Bulldogs, leading his team with 57 points, before he impressed in Kings development camp, as noted HERE, and inked an entry-level contract in September 2016. After he returned to juniors for the 2016-17 season, Luff played in 67 of 68 games with the Reign a season ago, trailing only captain Brett Sutter who appeared in every game.